Hi. I’m Kim West, The Sleep Lady, and in this video I’m going to answer this mom’s question about the transition from two naps to one. “My son is almost 16 months old. For a couple of weeks he did not want to sleep for his second nap, so I thought he was ready to have only one nap a day. He usually wakes at 7 a.m. and goes to bed between 7:30 or 8 p.m. He does not wake up at all through the night. I started to put him down around 11:45 a.m. in his bed for naps. Some days he sleeps for 2 hours or 2-1/2 minutes for that nap. But most days he sleeps for an hour and a half, which is not a lot since he’s supposed to be sleeping 2-1/2 hours a day. I’m not sure if I should go back to two naps or stay in the one-nap transition. I jumped from putting him to bed around 9:45 a.m. to 11:45 a.m. instead of gradually changing the time. This is a great question and a very common parental frustration. It is true that the average age to transition from two naps to one is between 15 and 18 months. They push the morning nap later and later. They just don’t go to sleep for their morning nap. They have a really big morning nap and then they don’t want an afternoon nap. OR…By the time they do want the afternoon nap, it’s too late. It’s 4:30 or 5:00 p.m. and a nap at this time will disrupt bedtime. It sounds like you may have seen some of that. You really need to see the signs consistently for about a week before you can say it’s time to transition him. But, nonetheless, you’re there. For now, you’ve got to continue to push the start of naptime to about 12 p.m., then 12:30 p.m., and eventually try to get it to 1 p.m. If he wakes up cranky and tired after an hour and a half, you might go in and say, “It’s not wake up time, yet!”, and give him 15 more minutes. This may or may not work. Let’s say you did that and he sleeps from 12:30 to 2 p.m. It’s a no-go on going back to sleep because, after all, he’s had an hour and a half of sleep. But, he starts to fall asleep at 3:30 or 4 p.m. while you’re going for a walk. In this situation, I would let him doze a little while (under 30 minutes) and not worry about it. During this process, his bedtime is more than likely going to be earlier than 8 o’clock. It may be more like 7 or 7:30 p.m. during this adjustment phase. I also want you to be open to an occasional two-nap day. I say this particularly because you’re worried that he’s not getting enough sleep, and it sounds like you might think he’s tired. On days like this I would have the morning nap be only 45 minutes. You should actually wake him up after 45 minutes to preserve the afternoon nap. Sometimes I notice after about 3 days of not having enough naps, they start to have a personality change for the worse. This might be when you say, “Okay, today’s going to be a two-nap day.” Just like when your child is sick and you recognize that they need two naps. If you have a child that is no longer napping, it becomes a one-nap day because they’re not feeling well. Adjusting to one nap is a transition. Normally I like to move the nap time later over a 3 week period. That way they really settle in and start to learn the skill of putting themselves to sleep for a longer nap, and get adjusted to one nap. 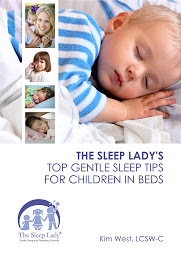 Here is an article with more details on toddlers and naps. It may answer any other questions you have about this transition time.